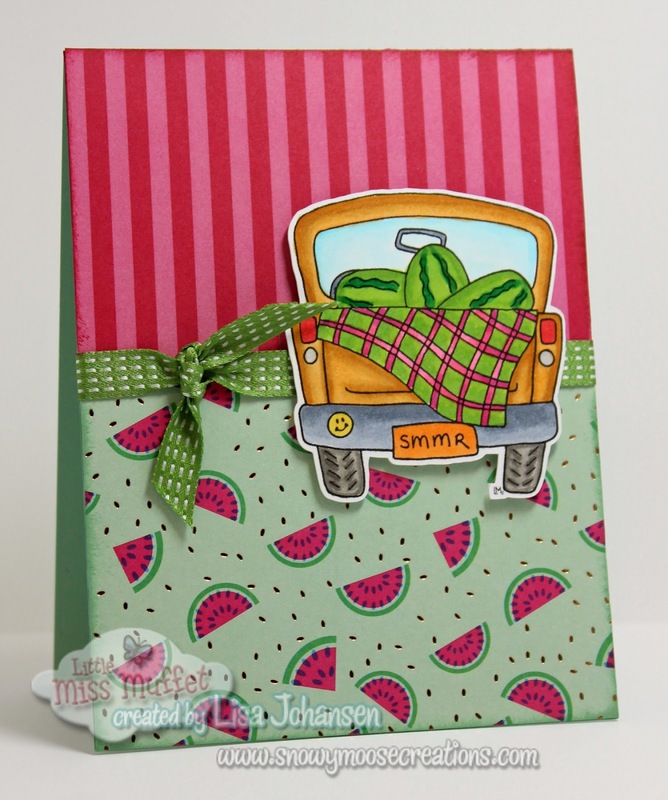 It's Inspiration Week over at Little Miss Muffet Stamps and this week I'm going with a summer themed card. I used the one of the newer images, Pick-Me-Up Truck with the summer option. It's got the watermelons in the bed of the truck with a blanket going across the tailgate, perfect for a summer greeting! 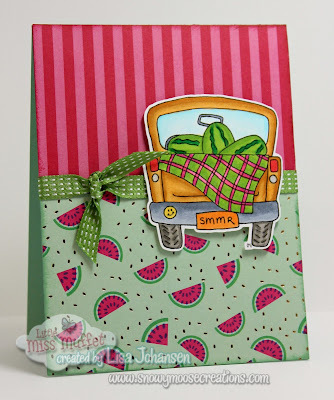 The watermelon paper is from a paper pad I got at Michaels, it was perfect for this stamp! The striped paper is from SU and the color went beautifully with the paper from Michaels. I love it when things work out like that. 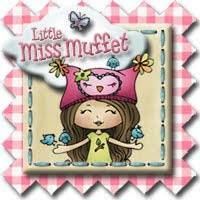 Don't forget, the Anything Goes challenge is still open over at the Little Miss Muffet Stamps blog so go check it out and play along with us!